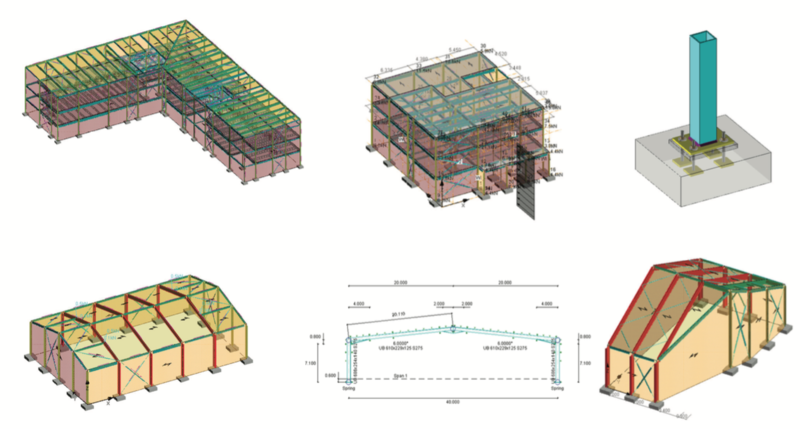 A combination of years of experience and the most up to date suite of analysis and design so ware allow us to offer our clients a fast and efficient steel frame solution. Recent projects vary from single storey residential frames to multi-storey commercial developments. We also have extensive experience in the analysis and design of portal frames, ranging from single span factory units up to multispan retail spaces. Recent acquisition of connection design so ware allow us to offer a full steel frame design and detail package. Our recent clients include ; Park Lane Developments, Porcelanosa, Miller Homes, DFS, NHS and Mercedes.